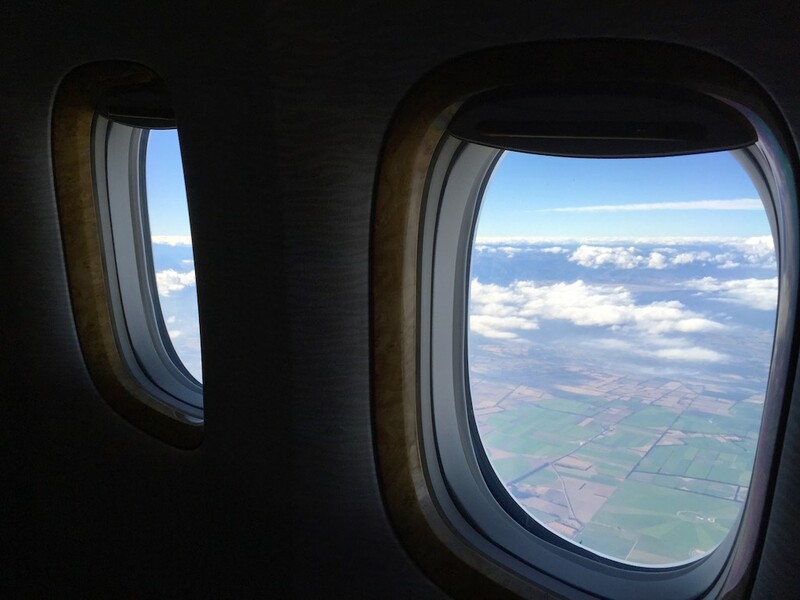 Earlier this year I was in New Zealand for a conference, and wanting to fly a new airline back to Sydney I decided to fly in Emirates Business Class on their 777-300ER service from Christchurch to Sydney. 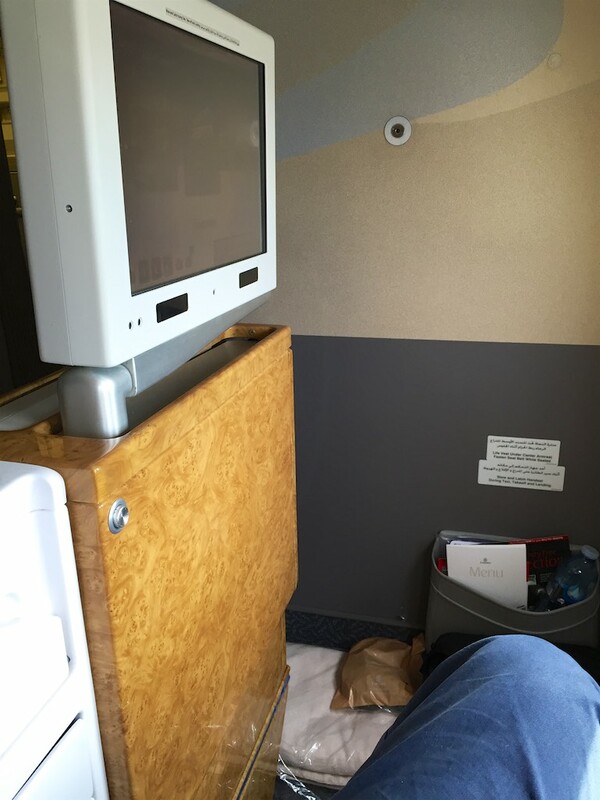 Despite redeeming heaps of Qantas Points on a number of Qantas’ partners over the years, this was actually my first Emirates experience. 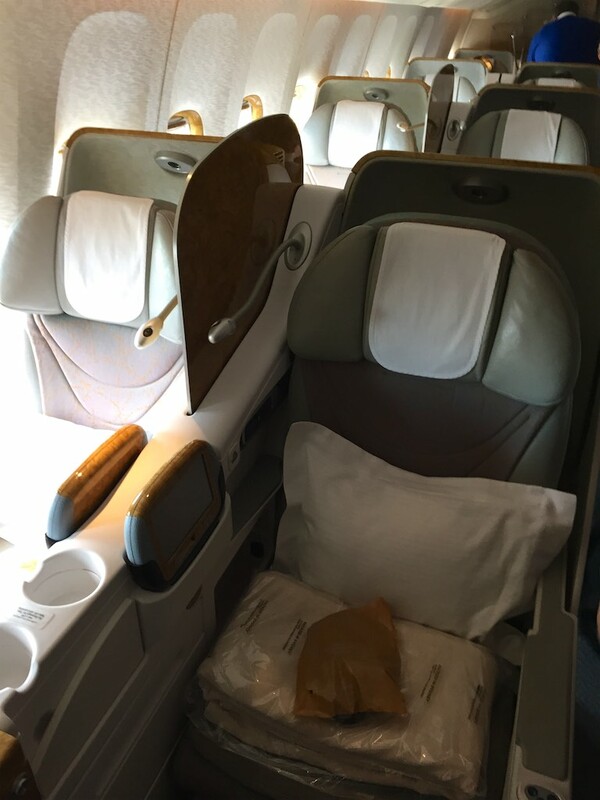 I was keen to see what impression I’d get – knowing their 777-300ER service is not as ‘premium’ as their A380s, with a lack of lie-flat beds, a more cramped cabin, and generally not as appealing. 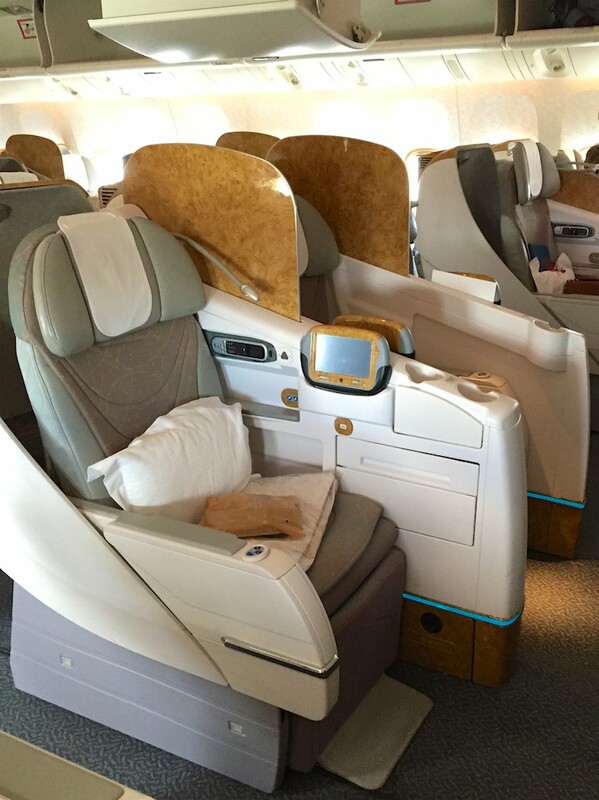 Note that since this review was originally published in December 2015 Emirates has upgraded this flight to an Airbus A380. 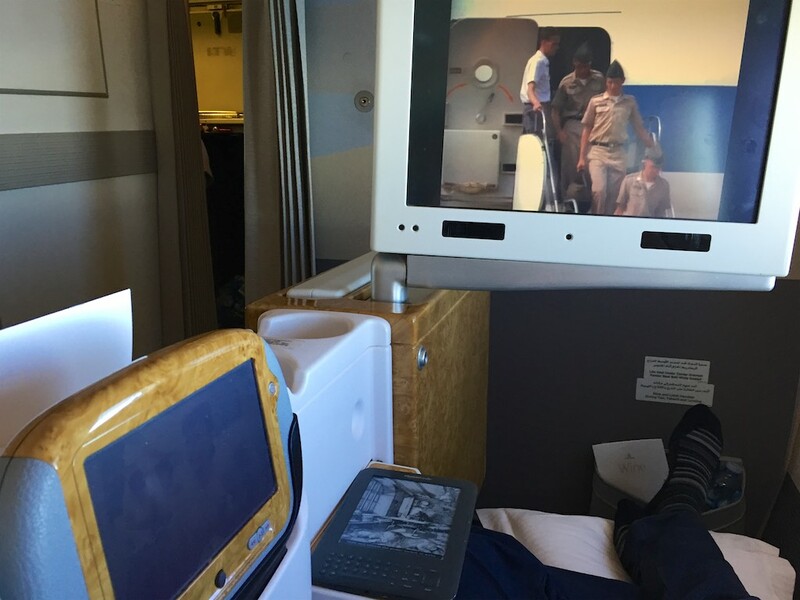 I paid around $600 New Zealand Dollars for the one way flight in Business Class. 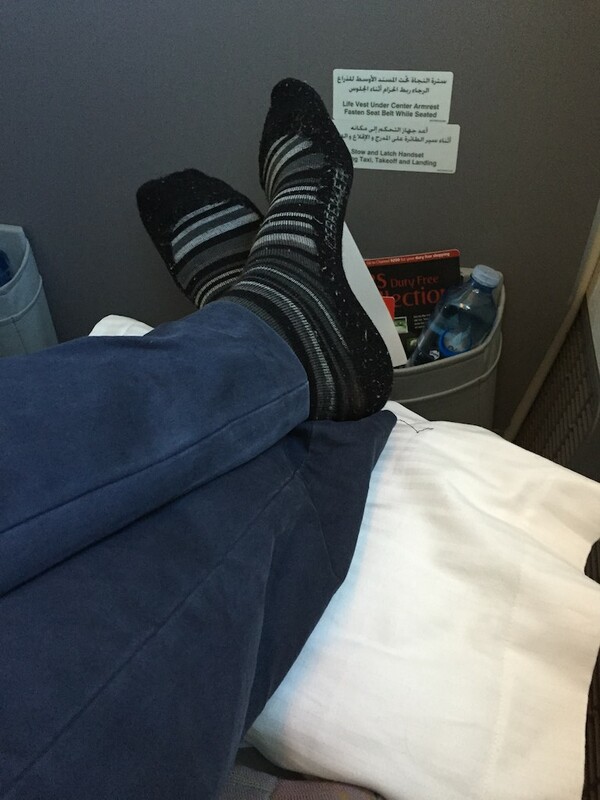 This was booked through Qantas.com as a QF coded codeshare flight to accrue maximum Qantas Points and Status Credits. Otherwise, this flight could normally be had for 36,000 Qantas Points + taxes, which is a decent way to spend your Qantas Points for a few hours of flat bed action and good food on your way across the Tasman. 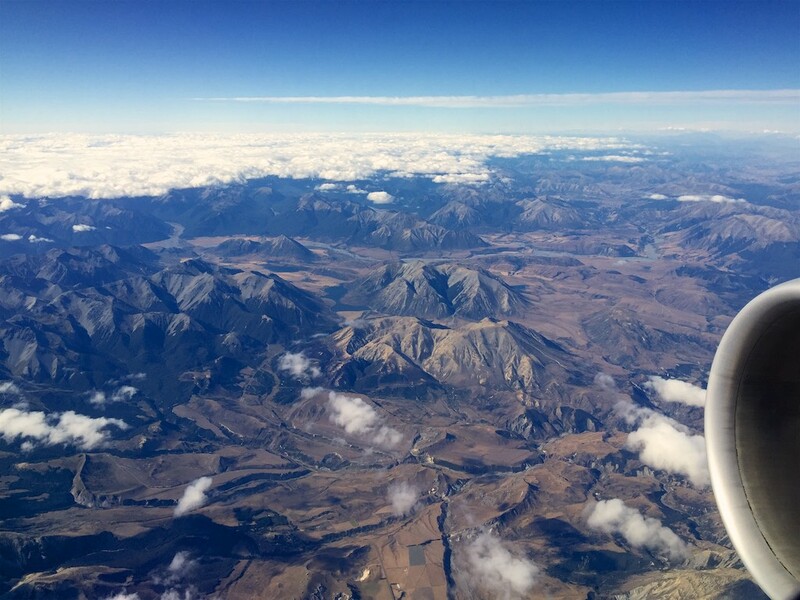 As my conference was in Wellington, I flew to Christchurch to connect using a short Jetstar domestic NZ service, which arrived around four hours before the Emirates departure. 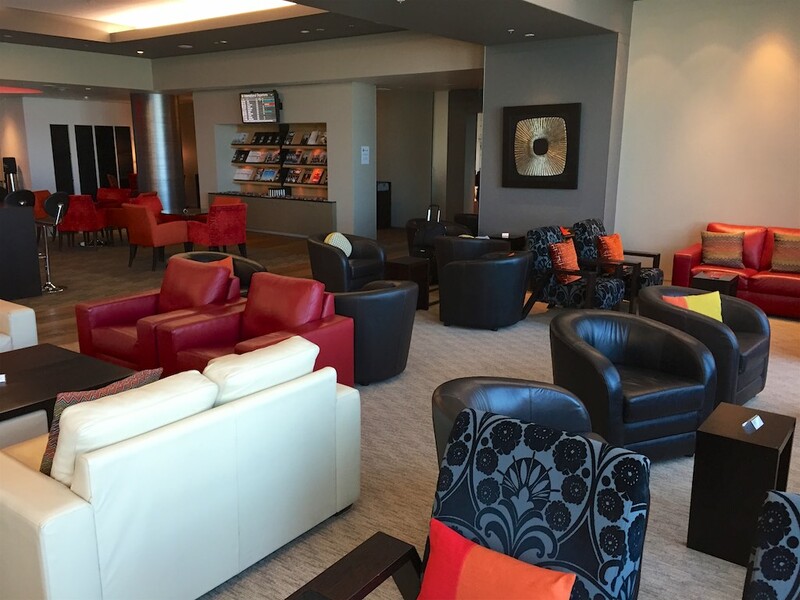 As a result, check in wasn’t open yet, so I had a wait landside before I could grab my Emirates boarding pass, and then headed off to the shared “Manaia Lounge” that Emirates use in Christchurch Airport. 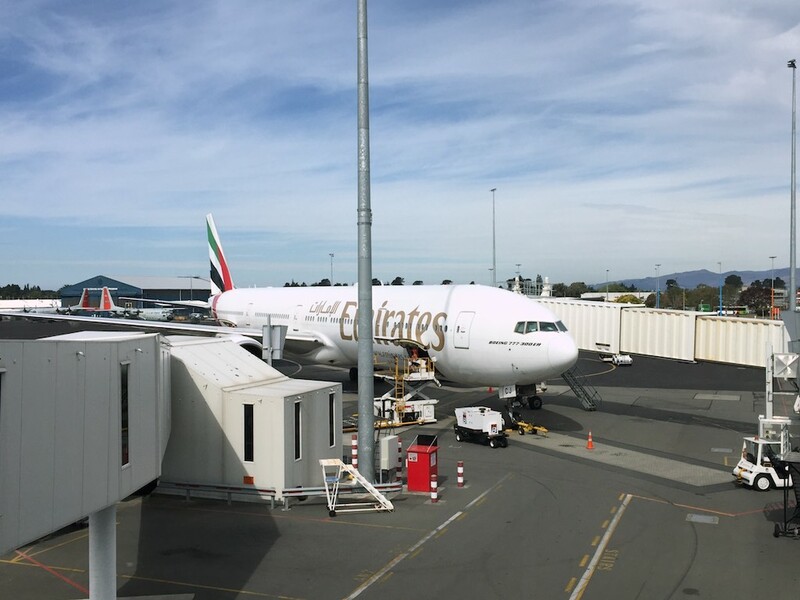 It’s certainly nothing special, but I didn’t expect much more given Christchurch is one of Emirates furthest from ports from Dubai, so it did the job with usable wifi for a few hours before departure. 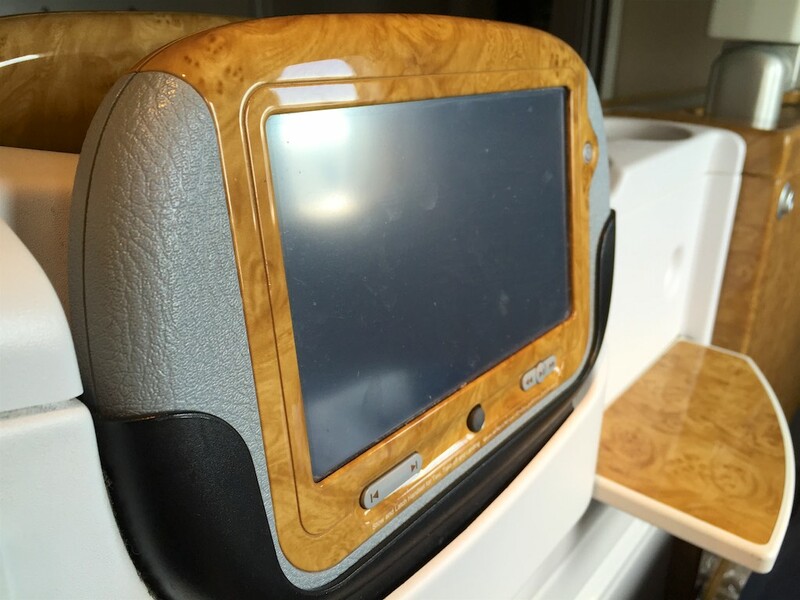 After a few hours in the lounge, I was greeted by one of many Emirates 777-300ERs. This aircraft had flown over from Sydney, and was on it’s turn back to Dubai via Sydney and Bangkok. The scale of Emirates’ operations always impresses me. 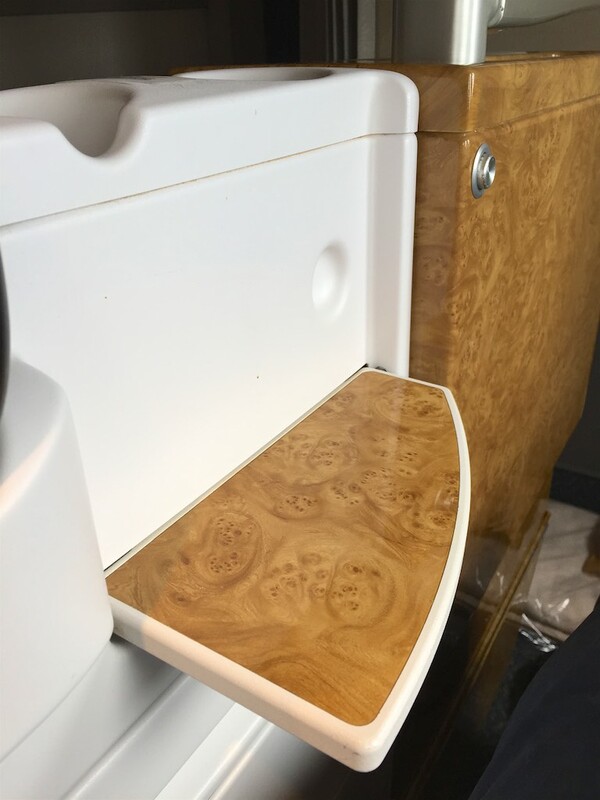 Emirates cabins are known for their theme of polished woods, golds and a lot of brown and beige too match. Understated they aren’t, and this theme runs across all the trim – even on the window surrounds. 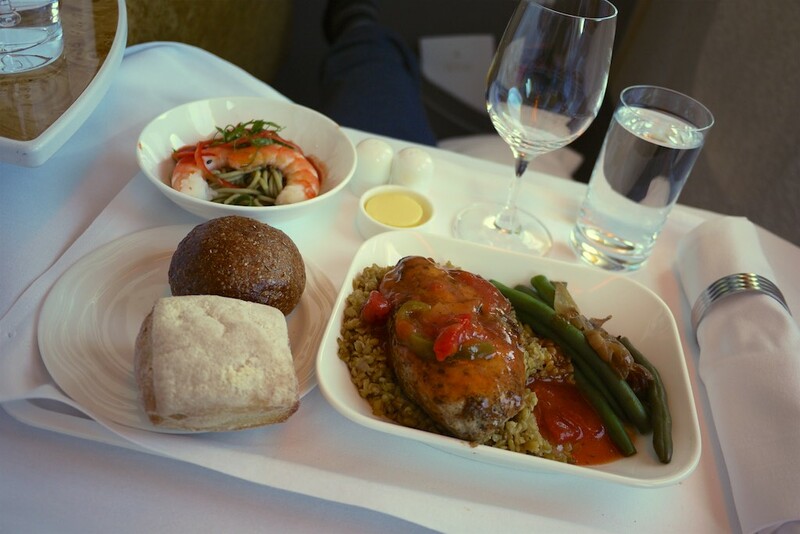 I had chosen my seat in the first row of the Business Class cabin in the hope that would have a little more legroom, and that I’d minimise any wait for food and drink service as well. 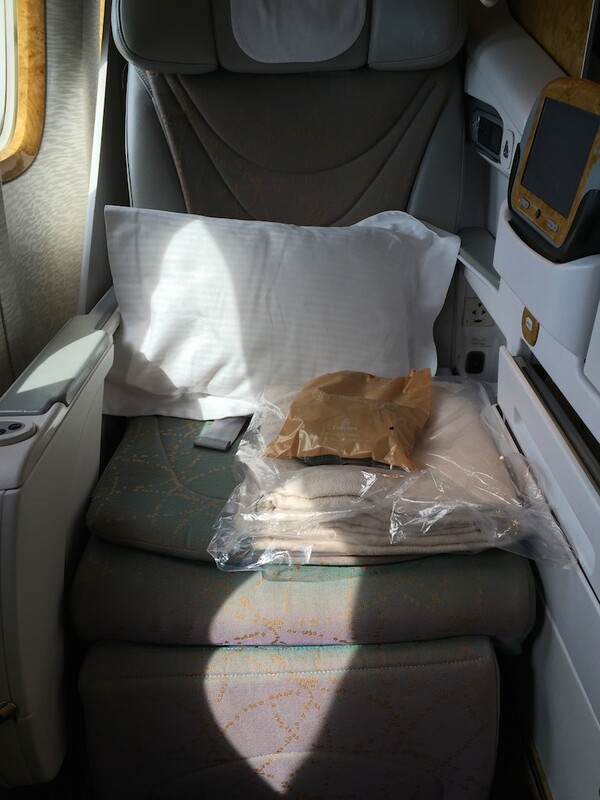 Emirates Business Class seat’s on their 777 fleet are now ageing in their design, with a 2-3-2 layout and only an angled flat sleeping surface. Fine for a few hours across to Sydney, but for long-haul these are now increasingly uncompetitive vs their competition. 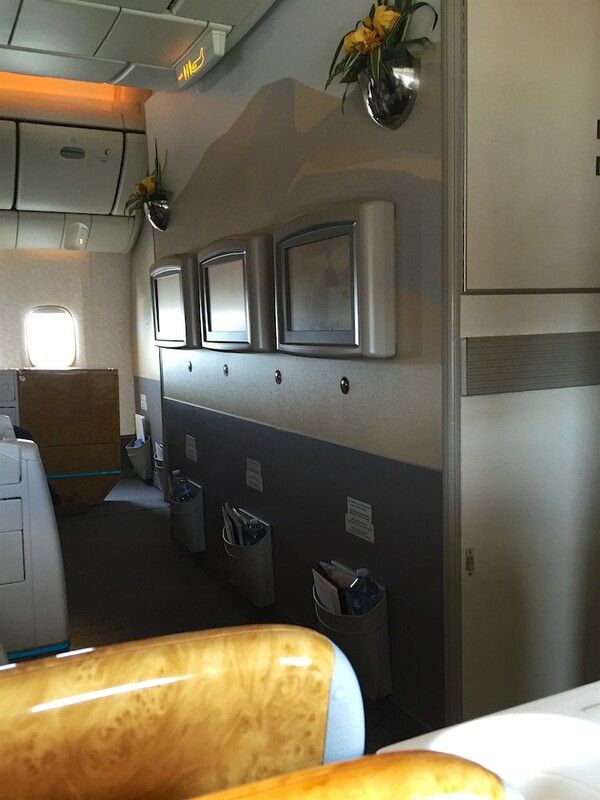 I found them very similar in comfort to the same cabin on Singapore Airlines 777 service which I reviewed a couple of months ago. The bulkhead seat has a large solid divider between the footwell of the two seats, which I didn’t notice on other seats in the cabin. This added a little privacy. 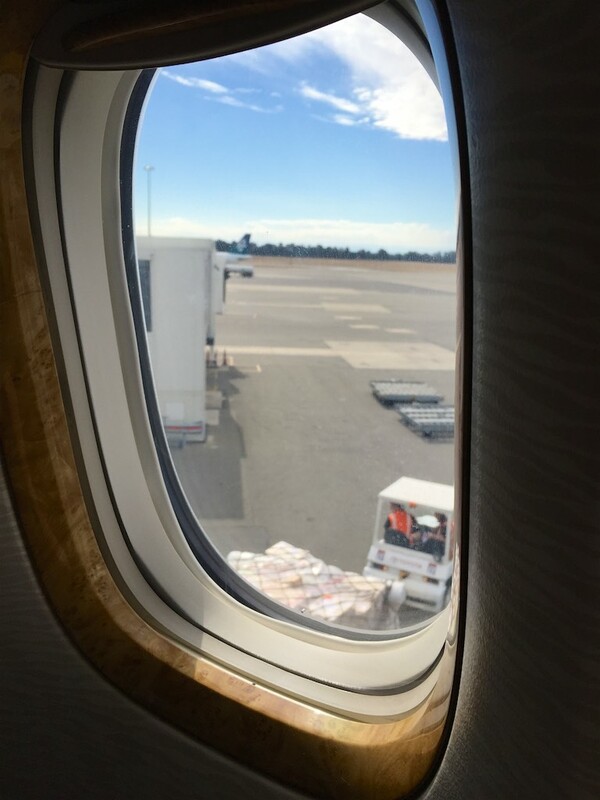 By comparison, the three seats in the middle of the cabin seemed a lot more open and cramped than the pairs close to the window. 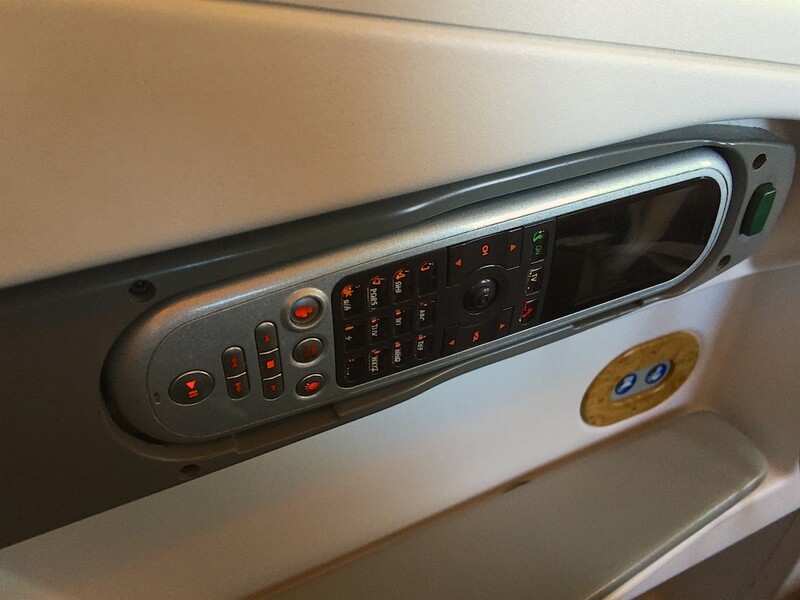 The seats featured Emirates’ trademark large handheld IFE controller, along with a fold out tray that was handy for drinks and snacks, both very useful. Emirates’ entertainment selection was, as you’d expect, pretty vast, with such a selections that’s complete overkill for a hop across from New Zealand to Australia, but as you’d hope for a long-haul flight to Dubai. 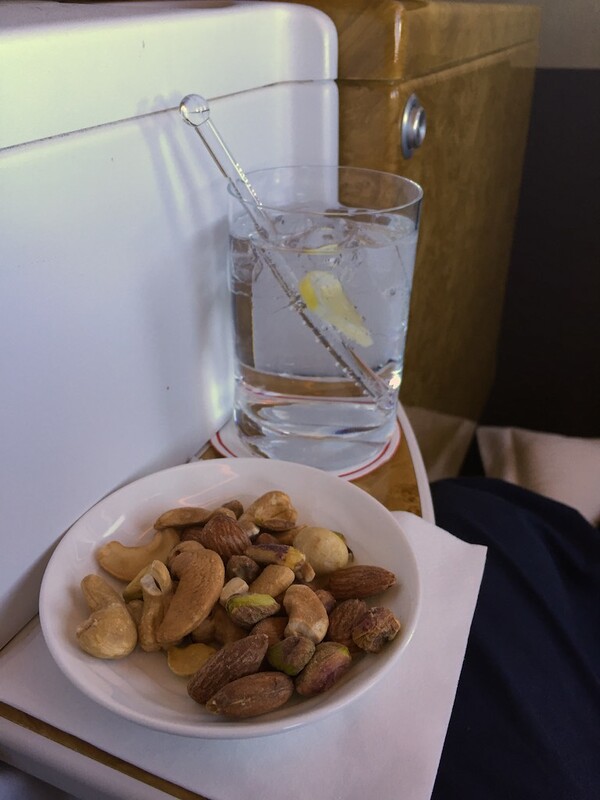 I got stuck into a Gin & Tonic, some mixed nuts, and enjoyed the views of the Southern Alps as we made our way West toward Sydney. 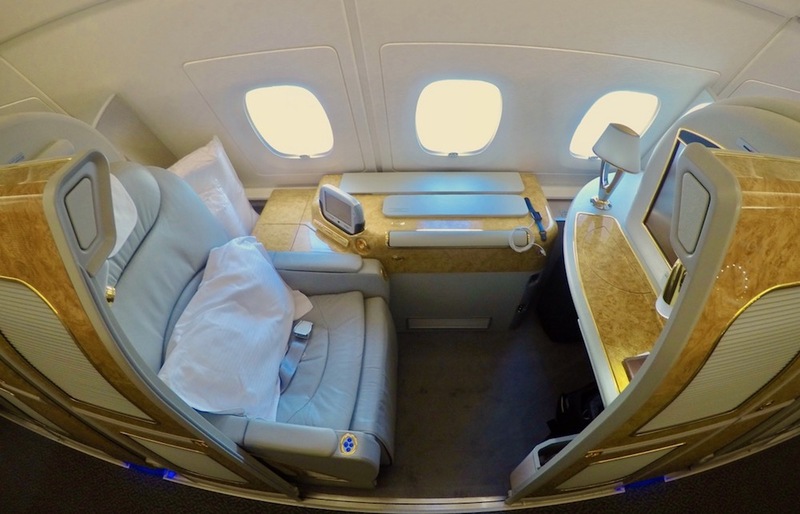 Overall, the space around the seat was adequate, and for comfort, for a day flight it was just fine. The one thing that annoys me most as a long-legged traveller is the addition of the foot rests at the base of the angled flat seats out there. I imagine this makes sense for those not as tall as me, but they just get in my way. 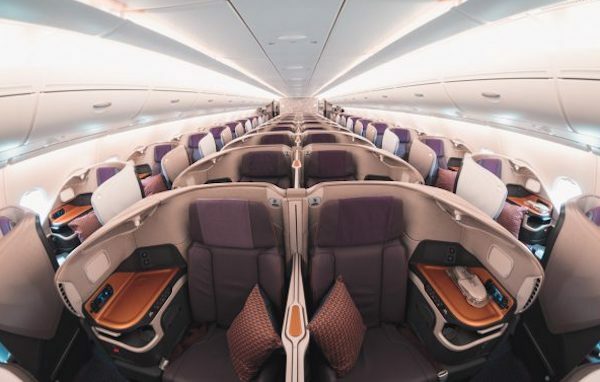 It’s an older generation Business Class, of course, compared to the likes of the new reverse herringbone options on the market like those from Virgin Australia, Cathay Pacific or American Airlines, or the new (or newer) staggered layouts of Qantas, Singapore Airlines and co. 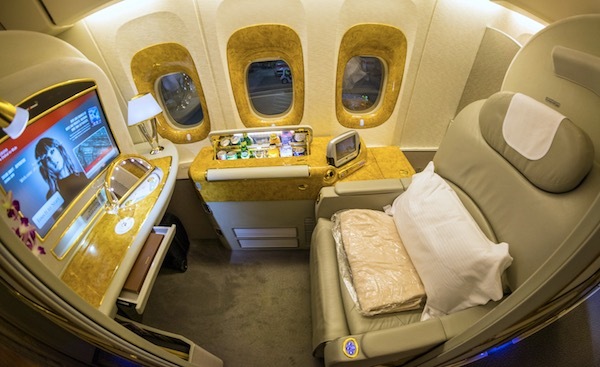 If you have more modern options instead of taking an Emirates 777 for your Business Class trip then I would definitely look elsewhere. But if this is all you have, due to points availability, route restrictions or preferences, then it would do the job. With a late afternoon departure, dinner and a snack was on offer. I opted for a roast chicken breast with rice and beans, with a king prawn starter. 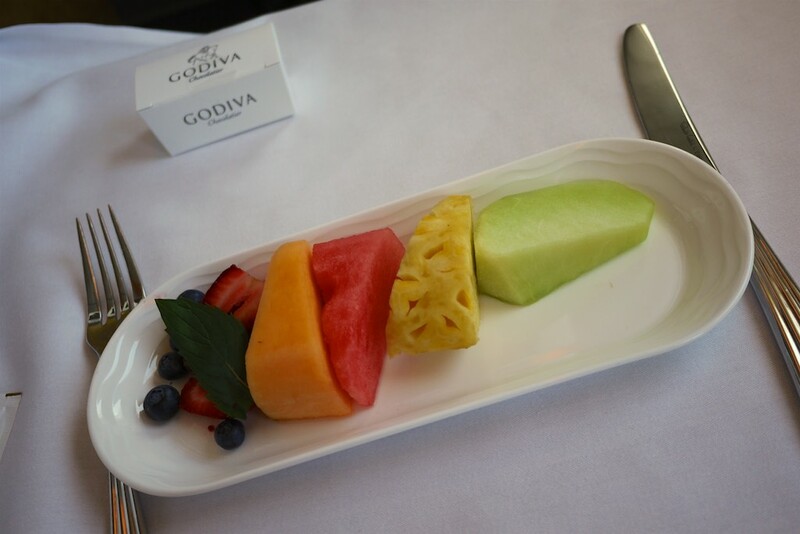 There were Godiva chocolates to follow, along with a choice of snacks later in the flight, where I chose some fruit. 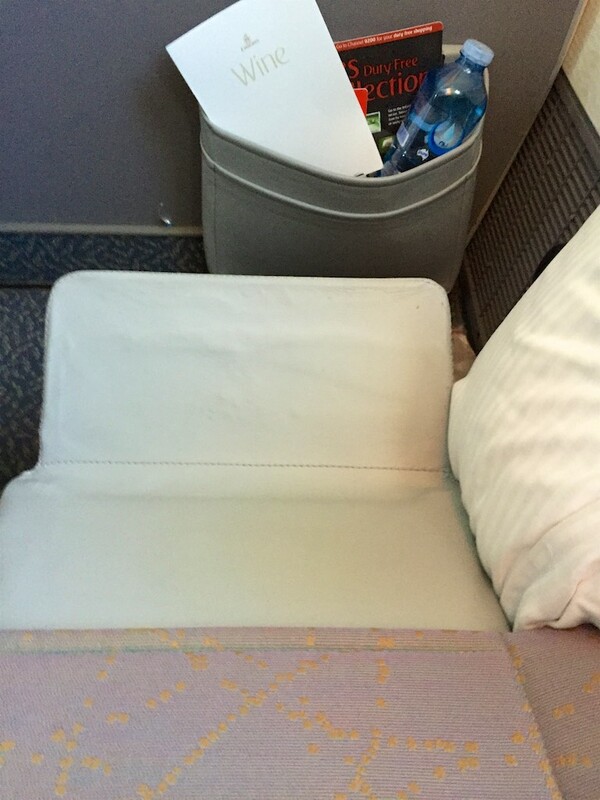 The seat is the reason for my low rating of this flight. 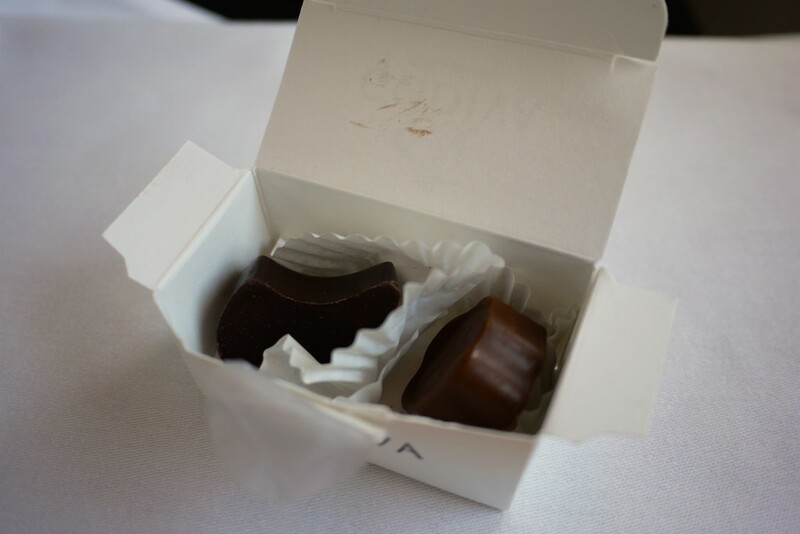 The elements of the experience that were more changeable – the service, the food and the entertainment – were all excellent. No complaints at all. 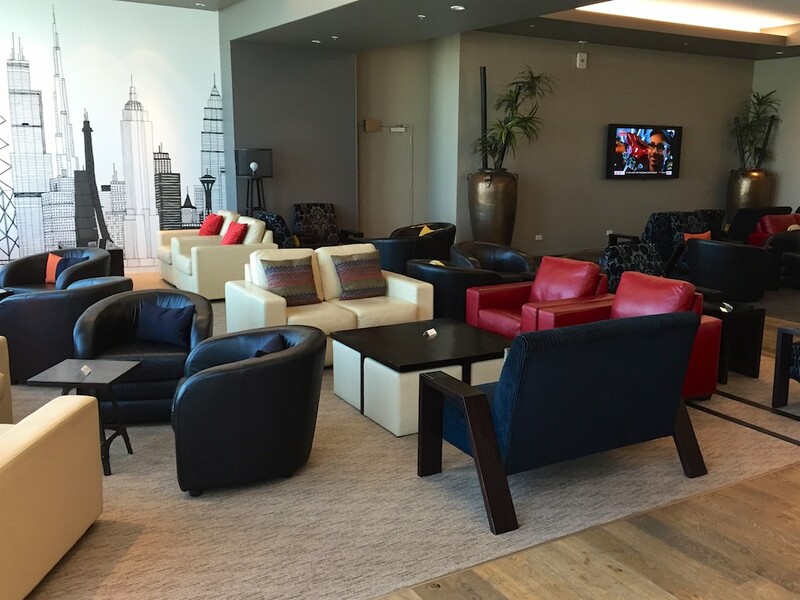 But the cabin felt like it was ageing, and there are better options out there for long-haul travel. Angled-flat just doesn’t cut it anymore. As a result my 2/5 rating is more reflective of Emirates 777-300ER in general, than on this specific route. Across to Christchurch though, I would imagine that you can’t get a better flight than this if the departure (morning from Sydney, late afternoon from Christchurch) and arrival times of this once daily flight make sense for your trip. Would be even nicer if it was an A380. 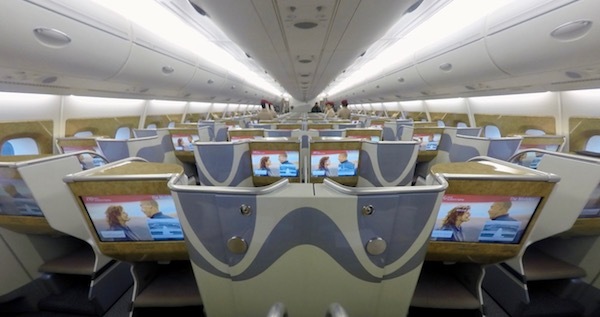 When will Emirates even consider this ,seeing it is such a long flight Christchurch to Dubai. Would be nice if you could compare this experince with the new upgraded Cabin. Yes, very much on my radar!